THE SPANISH COCKPIT. An Eye-Witness Account of the Political and Social Conflicts of the Spanish Civil War by Franz Borkenau. Foreword by Gerald Brenan. First published 1937. Austrian sociologist and disillusioned former Comintern official Franz Borkenau visited Republican Spain between August and September 1936, and again in January-February 1937. The account of his first-hand experiences as an independent socialist observer in revolutionary Spain, ‘The Spanish Cockpit’, was published in the early summer of 1937, when it impressed and influenced the recently-returned POUM miliciano George Orwell who recommended it (in a letter dated 1 August 1937) as ‘an excellent book’ for anyone wishing to understand Spanish affairs. 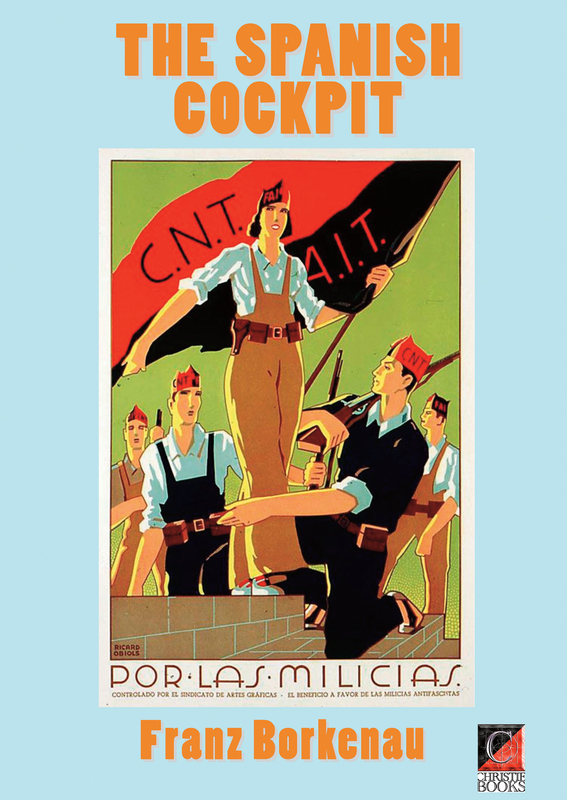 “The Spanish revolution and civil war of 1931-39 has produced an oceanic quantity of original source materials, including documentation and memoirs, along with secondary studies, seldom matched in 20th century historiography. It is a paradox of this topic that the ‘history of its history’ has been controversial and remains so, eight decades later.